Mary-Kate Olsen is a businesswoman, fashion designer, writer, former producer and actress famed for storming the movie industry at the age of nine months together with her twin sister Ashley Olsen. 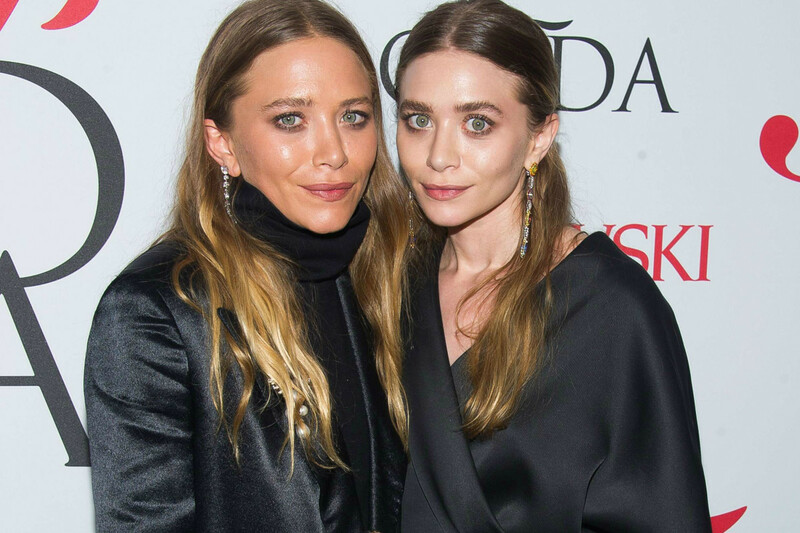 While many of their mates were busy crying at home and giving their parents a ‘tough’ time, Mary-Kate and Ashley were busy entertaining American households in the television sitcom, Full House, where they portrayed the role of Michelle Tanner. The pretty girls went on to appear in so many other television series and movies like, Passport to Paris (1999), Our Lips Are Sealed (2000), Getting There (2002), The Challenge (2003), Winning London (2001), So Little Time (TV series, 2001 -2002), Charlie’s Angels: Full Throttle (2003) which they perfectly acted to the admiration of their fans. Their last movie together was a 91-minute teen comedy titled: New York Minute (released in 2004). While Mary-Kate Olsen was cast as Roxanne Angelina “Roxy” Ryan, her twin Ashley Olsen portrayed the character, Jane Elouise Ryan. Hollywood former star Mary Kate was born on June 13, 1986, to Jarnette Olsen (mother) and David Olsen (father) in Sherman Oaks, California. She had her secondary school education at the Campbell Hall School, situated in Los Angeles, from where she proceeded to New York’s Gallatin School of Individualized Study in 2004. Her father, David, is a real estate developer and mortgage banker while his wife works as a personal manager. In addition to their twins, the couple shares two children together. One is Trent Olsen, Mary Kate’s older brother; the other is Elizabeth Olsen, the youngest child in the family. A few years after Elizabeth’s arrival, David and Jarnette separated and finally finalized their divorce in 1996. David Olsen went on to marry another woman, with whom he welcomed two beautiful children – Taylor Olsen and Jake Olsen. Mary-Kate’s twin sister Ashely was born as Ashley Fuller Olsen on June 13, 1986. She was a former actress and producer like her twin sister. Ashley is currently making waves in America as a fashion designer, author and businesswoman. California-born Ashley is a co-founder of the fashion brands – Elizabeth and James, The Row, Olsenboye and StyleMint. She founded these brands together with her twin sister, with whom she also wrote a book titled: ‘Influence’ (published in 2008). Retiring from Hollywood in March 2012 appears to be the best decision the twin sisters have ever taken, as their fashion brands have started paying off. Today, the adorable sisters are registered members of the Council of Fashion Designers of America. They keep attaining greater heights year after year and are happily reaping the fruits of their hard work. In 2007, the beautiful twin sisters were ranked the eleventh-richest women in the entertainment industry by Forbes, with an estimated combined net worth of $100 million. Former child star Mary-Kate Olsen is married to Oliver Sarkozy, a renowned French banker based in the United States. Sarkozy, born on May 26, 1969, began a relationship with Mary-Kate in May 2012. The couple sealed their love on November 27, 2015, when they tied the knot at a private residence in New York City. Mary-Kate’s husband is not only a successful billionaire; he is the half-brother of Nicolas Sarkozy, the former president of France. He also fathered two children from his first marriage to Charlotte Bernard, a French-born writer of children’s books and freelance fashion writer. Bernard was married to Sarkozy for fourteen years. They separated in 2010 and finally finalized their divorce in 2011. Banker Oliver Sarkozy was born in France but he reportedly spent his childhood and adolescence periods in Zambia, Egypt and the UK. He holds an M.A. in medieval history from the University of St. Andrews, in Scotland. As for Mary-Kate’s dating history, the pint-sized fashion heavyweight has been in several relationships with Hollywood ‘big’ and ‘bad boys’, among whom are artist Lowman (2008 – 2010), Photographer Max Snow (2006 -2007), Stavros Niarchos, David Katzenberg (the son of DreamWorks co-founder Jeffrey Katzenberg) and Max Winkler (the son of actor Henry Winkler). Former child star Mary-Kate Olsen’s net worth is put at $200 million. The actress-turned-fashion mogul and her twin sister Ashley jointly have a staggering net worth of $400 million, as of April 2017. The Olsen twins’ eye-popping fortune supposedly stemmed from their high-end fashion businesses. Mary-Kate is pint-sized and best known as the “skinnier one of the skinny Olsen twins”. Her height and weight are put at ‎5 ft 2 inches (157 centimetres) and 49 kg (108 pounds) respectively.